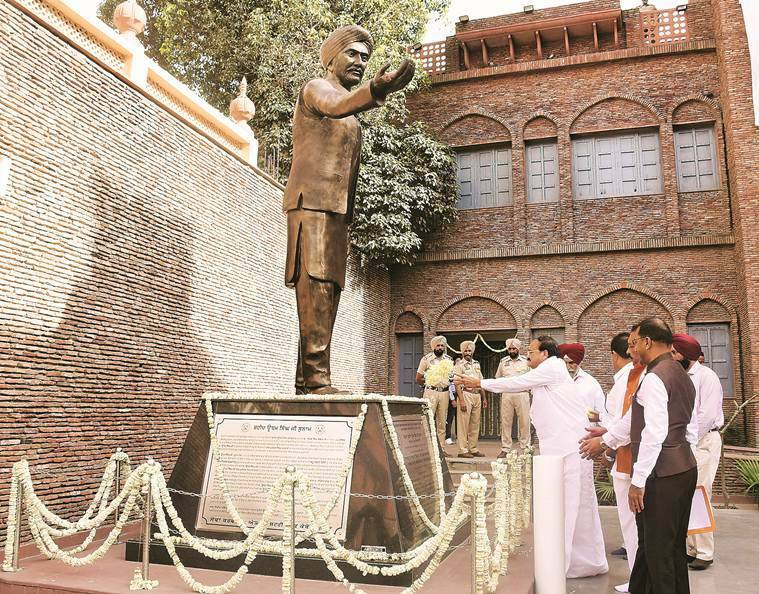 Vice-President M Venkaiah Naidu paid tribute to the victims of the Jallianwala Bagh massacre in Amritsar on its centenary on Saturday. The massacre took place on April 13, 1919, when British troops under the command of Colonel Reginald Dyer opened fire at a peaceful gathering of people, leaving hundreds dead and scores injured. After placing a wreath at the memorial at Jallianwala Bagh, Naidu released a Rs 100 commemorative coin and a postage stamp to mark the centenary of the tragedy. The commemoration ceremony was organised by the Ministry of Culture. Punjab Chief Minister Amarinder Singh, who was among those invited, did not attend the event. Joint secretary in Ministry of Culture, S C Barmma, who was at Jallianwala Bagh, said that besides an invitation to the Punjab CM, “another 1000 cards were sent to Punjab chief secretary for inviting people to the event”. Thukral added that state minister O P Soni “was in waiting and as per protocol” concerned officials received the cice president. “May the legacy inspire every Indian to achieve greater heights of resolute resistance to oppression and exploitation. May the indelible scars on national consciousness foster a sense of national pride along with a redoubled dedication to spread India’s timeless message of peaceful co-existence across the globe,” he further wrote. British High Commissioner to India Dominic Asquith, who also laid a wreath at the Jallianwala Bagh Memorial, said Britain deeply regretted the incident. “The events of Jallianwala Bagh 100 years ago today reflect a shameful act in British-Indian history. We deeply regret what happened and the suffering caused,” Asquith wrote in the visitors’ book at the memorial. In Delhi, Prime Minister Narendra Modi said the memory of those killed in the Jallianwala Bagh massacre serves as an inspiration to work for an India they would be proud of.